Bank of American is closing its doors in southern California on June 15, 2015 in the same location marked as "hostile" on the Jade Helm 15 map. Get Ready! 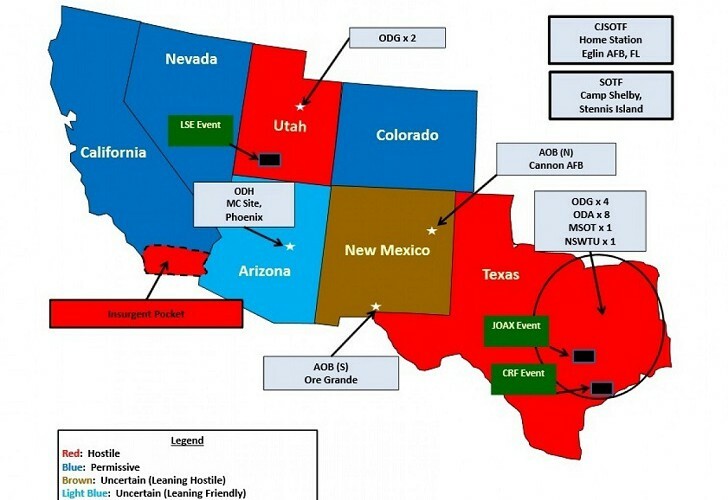 See really good article on Operation Jade Helm 15 here. Mark Anderson of the American Free Press is interviewed by UK Column News about what Jade Helm 15 could really be about and what the Pentagon is really up to in its quest to "Master the Human Domain." After the video begins move the slide bar to 15:45 where it begins and continues to the end. Dirty bomb exercise coming up in June. All the dissolved government has to do is set one off and go looking for anybody they want and do what ever they want to them and the media will back them up. It's the new norm! The justification for all these "exercises" is making sure all agencies are prepared for terrorists using weapons of mass destruction. But what no one is prepared for is mass tyranny using weapons of mass destruction and the military to completely destroy the last bit of freedom in America. Who is preparing for that which we see forming all around us? The following is a revelation of why the dissolved US government wants "Jade Helm 15" in place so when the US government calls for ISIS to attack in America, they will be able to justify the US military all over everything so that there is a reason to clamp down on every freedom and sweep Americans they don't like into the mess without notice. The following is a video proving the spokesmen for Operation Jade Helm 15 in Bastrop lied about property owners asking the government to hold these exercises on their land and that they werre not compensated for that.